In October at my favorite local scrapbook store, Eclectica; they have what they call a "Scrap Pink" crop, where some of the money goes to help in the fight against breast cancer. Yesterday was the crop, 10 hours of awesome craftiness with a fabulous group of gals; Olive Garden and some door prizes; we all had a great time. 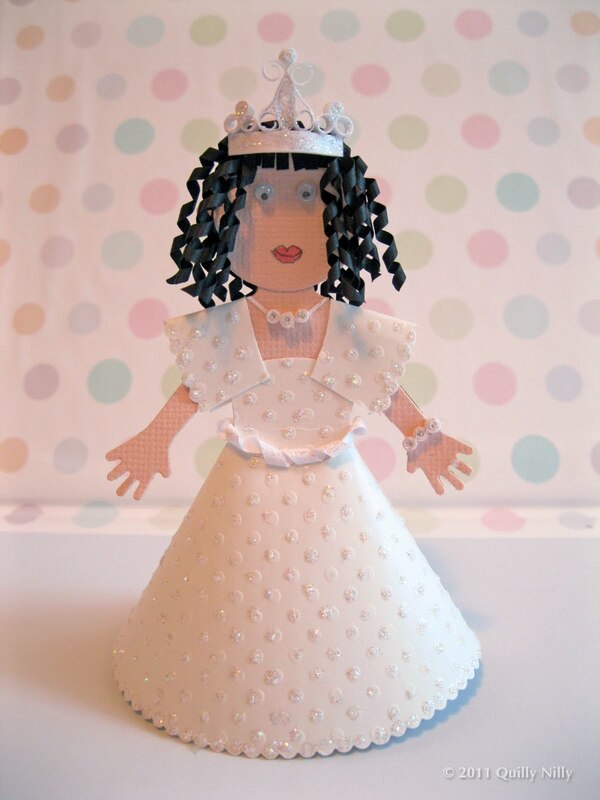 They also do a contest where you get to decorate a die cut paper doll and everyone votes on their favorite, I love this contest; it's so much fun and I win it; or at least the last 3 times I entered I won. For my doll yesterday I decided on a princess. 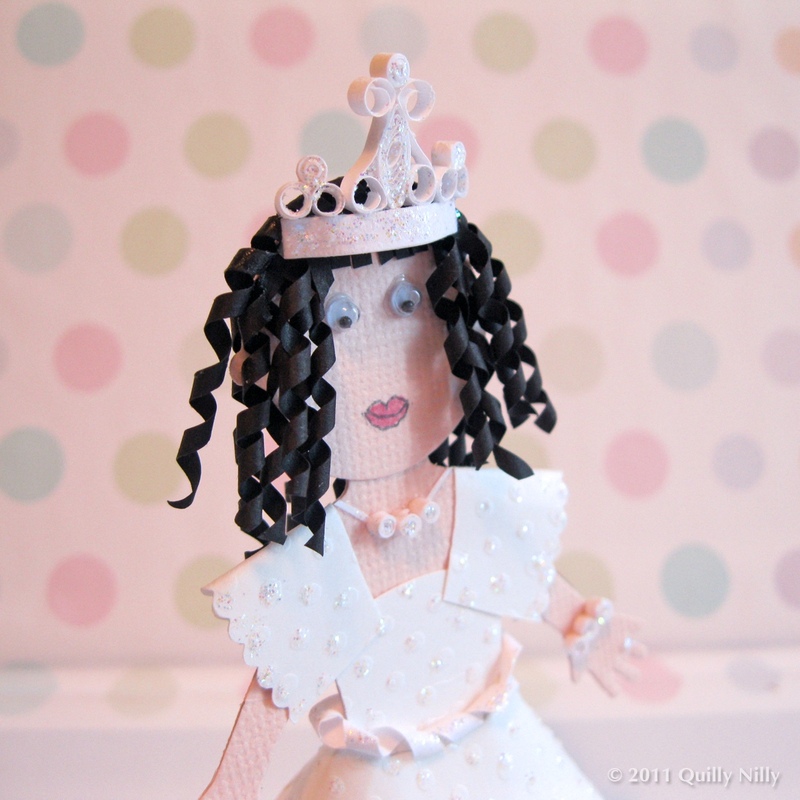 I used white swiss dot card stock to create her dress, added bling using my Star Dust Stickles, and created her tiara, jewels, and hair with quilling. I/she won, super exciting; got me a $5 gift card which I used last night purchasing some new paper (which I didn't need) but who doesn't love more paper. she is fantastic...way to go on the win. You deserved it !! she is so cute! !, and congrats on the win!!! Her crown is gorgeous! Nice touch on the belt too.